Models are often required by Cosmetic Tattooing students in our CT-AIVEP training program. Procedures on models are performed by students under the supervision of an Instructor and the procedures are provided to the models at a fraction of the regular cost of the procedure. Training courses tend be very time sensitive and practical training days are carefully planned and prepared sometimes a long time in advance. It is essential to the success of a students practical training day that models are reliable and attend on time for their appointment. Occasionally due to the variability of a students needs a models procedure may not be able to be carried out, sometimes the previous procedure may take longer than expected. For this reason models are also expected to be flexible. Models can register their details for the CT-AIVEP training program and when required models will be contacted (in order of registration) to see if they are available for a booking for a predetermined training day. When a booking is made the model pays a $75 booking fee per procedure which covers the materials and equipment used during the procedure. 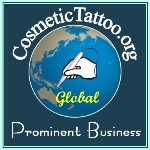 On the day of the booking the models will receive a first treatment procedure, as per the booking, performed by a Cosmetic Tattooist Student. If the procedure is not performed due to training time constraints then the $75 fee is refunded to the model provided that the model has attended their appointment on time (non attendances and cancellations will forfeit their booking fee). Models can register for more than one procedure but in most instances each procedure will be performed on a separate booking and no guarantees are made about the availability of procedures and training courses may be conducted at a variety of locations. A $75 booking fee is all that a model pays for a first treatment in each of the above procedures which needs to be paid at least 14 days prior to the appointment day.